It's nice to enjoy a barbecue on a summer day outside on your brick patio. What's not so nice is when olive oil accidentally gets spilled on the brick. Oil can be a tricky substance to remove from any surface. The greasy nature of olive oil can leave quite an unsightly stain. 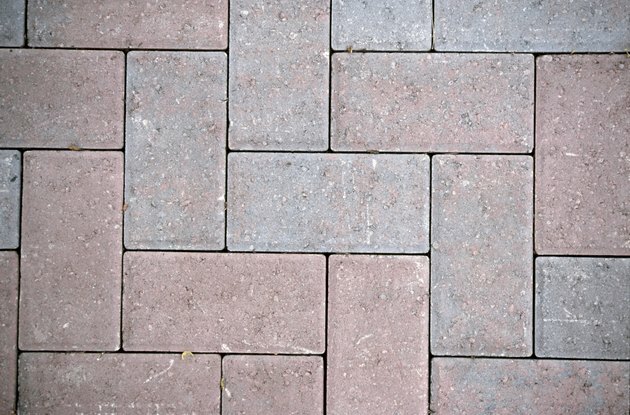 Removing olive oil from a brick patio at first sight of the mishap will increase the chances that no stain will be left. Soak up as much of the olive oil from the brick as possible. Sprinkle kitty litter, cement powder, baby powder, fine sawdust or similar substance directly onto the stain. Use a generous amount and make sure that the entire stain is covered. Do not try to soak up the olive oil with a rag. This may only spread the olive oil further onto the brick patio. Allow the oil to soak into the kitty litter (or whichever product you are using). Gently scrape up the pile of kitty litter and oil, using a stiff piece of cardboard, wood scraper or similar item. Fill a bucket with one gallon of warm water. Add a pound of trisodium phosphate to the water and mix thoroughly. Sprinkle in some powdered chalk while mixing until a thick paste forms. Spread the paste over the stain using a spatula. Spread on a layer about a half-inch thick. Allow the paste to dry onto the olive oil stain. Use a wooden scraper or stiff piece of cardboard to remove the paste from the brick patio. Wash the stained area of the brick patio with clean water and a scrub brush. Allow the surface to air-dry. Use dish-washing liquid and water as an alternative cleaning method if you do not have trisodium phosphate on hand. Mix a generous amount of dish-washing liquid into a gallon of warm water. If you have ammonia handy, add a half-cup to the mixture. Pour the mixture onto the stained area (after soaking up the majority with kitty litter) and scrub with a stiff scrub brush. Rinse with plain water. Scrub down the area with mineral spirits if any sight of the olive oil still persists. Rinse the brick patio with plain water.